Don’t entrust the care of your Mazda to just anyone. Turn to the professionals you know you can trust at McDonald Mazda South. Our Mazda dealership in Littleton, CO, offers a highly regarded Mazda service center that’s run by qualified and experienced Mazda technicians. The Mazda service techs at our local service center are skilled at performing routine Mazda oil changes and tire rotations, as well as more complex Mazda brake and battery repairs. 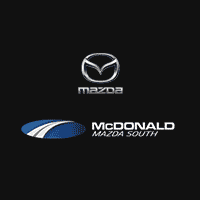 Whether your Mazda needs an engine repair, an emissions system repair or transmission service, you can count on the McDonald Mazda South service team to address your car’s needs quickly and return it to you in outstanding condition. We can even help you buy, repair or replace your Mazda tires when you visit our Mazda tire center. To get the Mazda maintenance and repairs your car needs, schedule service online today. We look forward to your visit and helping you with all your Mazda service and repairs!